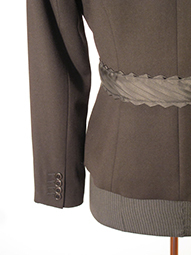 Miss Lim Bespoke is a contemporary collection of tailored pieces, each customised to your liking. Harness your inner design aesthetic - choose your shape, choose your colour. Enjoy selecting cloths from mills around the world. Express your style with interesting design elements, exquisite trims, fancy buttons and vibrant linings.